A few weeks ago I was reading an article on MMA – Mixed Martial Arts in Womens Fitness mag and thought it sounded like a pretty cool work out. Lots of talk of strong cores, lean legs and a ‘perky backside’. What more could you ask for? So I googled MMA and found the Tweed College of Martial Arts. And perfectly enough they run free week trials where you can go and try any class you like. Whether it’s a morning MMA class, an afternoon Gracie Jiu Jitsu class or an evening Thai Kickboxing class. Totally kid friendly with tables and seats for older kids to sit and watch or a play pen for the extra little ones. 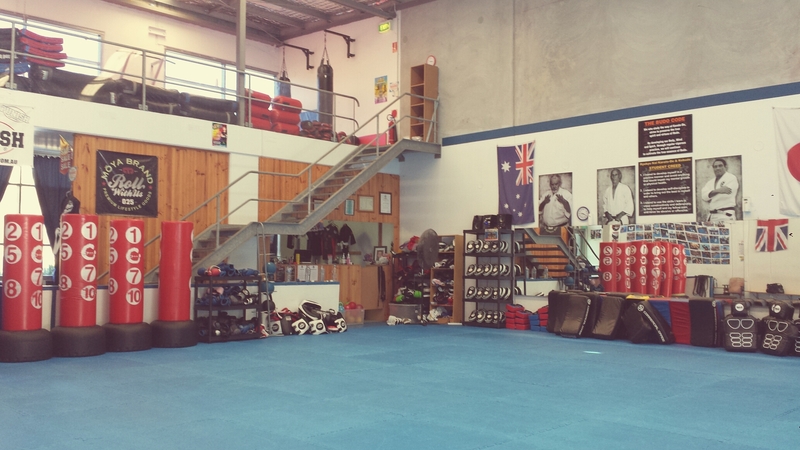 They also run kids after school classes in both Gracie Jiu Jitsu and Thai Boxing. So, I gave them a call and spoke to the most welcoming and amazing lady on the phone, who was just as welcoming when I rocked up the next day feeling like a total fish out of water….. But, I was introduced to an amazingly friendly group of people who were all super encouraging and love seeing new people come along and give it a go. After some initial warm ups of shuttle runs and push ups I was partnered with a super experienced black belt who was able to take me through all the moves and correct my techniques when I needed it. I’ve had a bit of experience with boxing which I was able to draw on but everything else was pretty new. And pretty awesome! Definitely felt like I had a good work out and my shoulders definitely knew it the next day…. So if you’re after a shake up to your normal work out routine definitely give this a go!